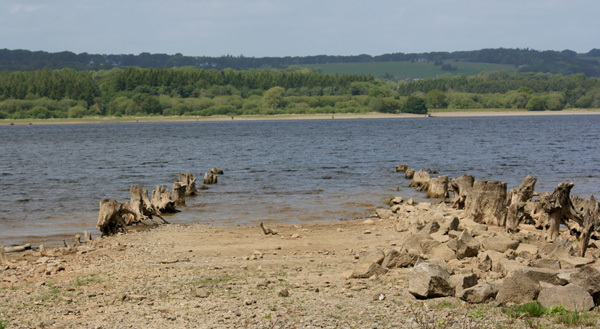 The Poulaphuca Reservoir also spelt Pollaphuca or Poulaphouca commonly known as the Blessington Lakes, are situated in west Wicklow. The Lakes were created in the late 1930's by the construction of a dam at Poulaphuca. 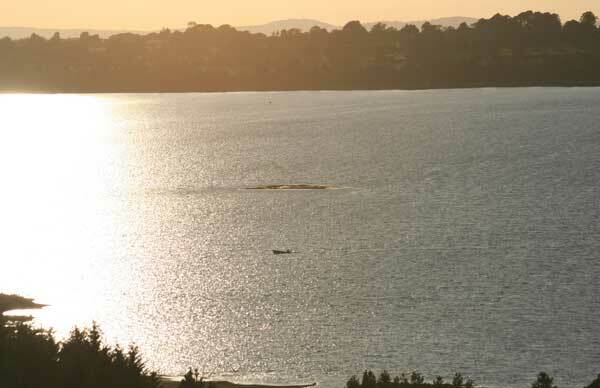 This website is designed to give you a view of before and after the lake arrived, a graphic history using old photographs that have been collected over many years then superimposing today's image. 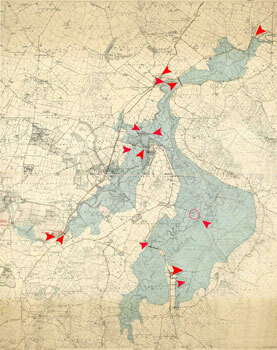 Take a trip to the interactive map where you will be brought under the lake. Visit the video tab above and take a historical virtual tour of the past and today. 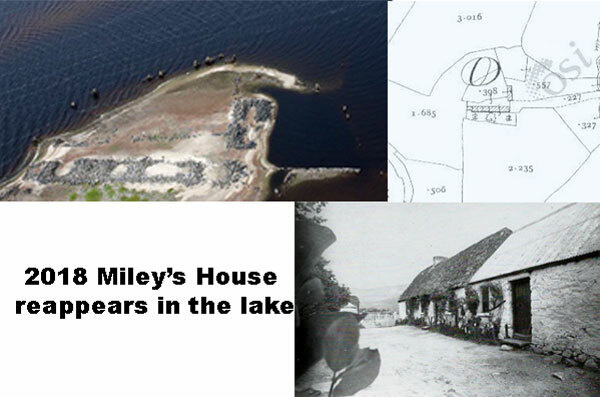 The waters retreat Sep 2018 and reveal Miley's house in Monamuck. The waters retreat May 2011 and reveal a tree lined road. The morning of 16 Aug 2011 this bog reappears in the centre of the lake. You can see Dunmurry Hill and the Hill of Allen in Kildare on the horizon.